The areas of experimental and clinical psychopharmacology have continued to grow in terms of the numbers of studies appearing in the literature as well as the activity generated by other disciplines that has influenced the output of behavioral pharmacology research. Psychoactive drugs have been considered for their comparative effects upon selected behaviors or for their effect upon diverse behaviors. Behavioral circum­ stances certainly influence not only the metabolism and action of psycho­ tropic drugs behaviorally, but also the disposition of these agents and/ or their metabolites in regions of the central nervous system. There can hardly be a psychopharmacology without a neuropharmacology, and the latter would seem to depend upon a neurochemistry. There would appear to be variables that exert potent influences upon the disposition and action of psychotropic drugs, that also relate quite directly to their effects upon behavior; these include drug interactions, nutritional status, environmental effects such as temperature, photic and tactile stimulation, and stress, and the basal status upon which such drug treatment is superimposed. 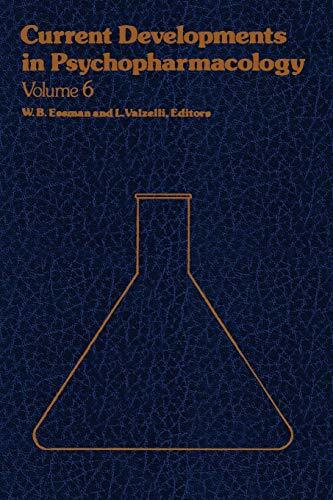 In this volume of Current Developments in Psychopharmacology, which will be the last to appear in this format, we have sought to focus upon a series of current topical reviews that highlight representative areas of experimental and clinical research activity in psychopharmacology. In the first chapter, Dr. Lagerspetz reviews a frequently neglected aspect of psychopharmacological research-the actions of psychoactive agents upon the nervous system and behavior of non-mammalian species.